Over a week ago, Swami Aseemanand, a saffron-wearing culprit on trial for the Samjhauta Express attack, emerged out of the courtroom with a loud chant of ‘Jai Sri Ram’. He, alongside three others, had just been acquitted by the court due to an alleged lack of evidence. Ironically, during the investigation period Aseemanand boastfully confessed to his heinous crimes to sabotage peace. February 18, 2007 was a disastrous day for peace between India and Pakistan when Hindutva followers blew the Samjhauta Express with improvised explosive devices killing 70 passengers, a majority of whom were Pakistani. The incident took place near Panipat, which also happens to be the last station before the Attari-Wagha border between the regional rivals. As usual, the attack was initially blamed on Kashmiris by the Indian media until the case reached the tables of India’s top criminal investigation watchdog. The initial investigation was enough to turn all noses towards the saffron flag of the Rashtriya Swayamsevak Sangh (RSS). This was a discreet Hindutva mission to bring the bilateral relationship between Pakistan and India to its knees and initiate an interfaith unrest within India to persecute Indian Muslims. Important to mention is the fact that India’s National Investigation Agency (NIA) probed the case very professionally and arrested four of the eight culprits. The NIA’s findings were alarming for India as the culprits, during a deep digging of the facts, accepted the charges put against them by reasoning that this terrorist attack was in retaliation to attacks on three Hindu temples. While some of the initial accused remain at large, it took nine years for the special court of NIA to drop charges against the four arrested. The court concluded that the investigation watchdog failed to give enough evidence against the conspirators in the case so they gave the benefit of the doubt to the culprits. Thus, the Samjhauta Express case remains unresolved, with all pleas from Pakistani families of the deceased being dismissed. 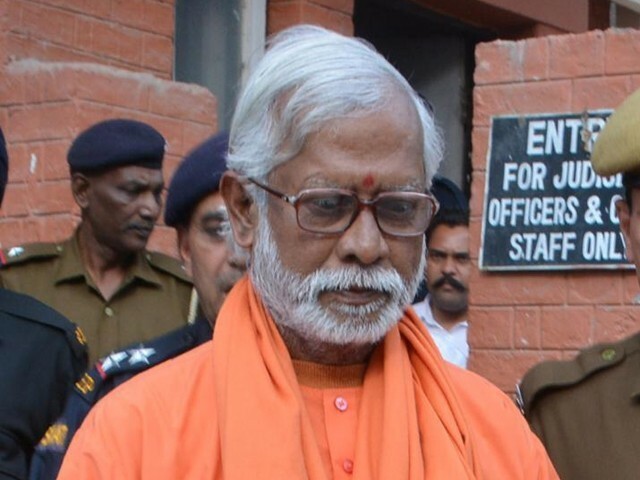 What is alarming for India’s judicial system is Aseemanand’s confession, in which he admitted to wanting to teach a lesson to Muslims, of both Pakistan and India. He also confessed to being behind the bombing of the Mecca Masjid of Hyderabad alongside others, for which they were all released without any charges. They maintained that their Hindutva ideology taught them to reply to Muslims with ‘a bomb for a bomb’. They firmly believed, without any evidence, that the Hindu temples were bombed by Muslims. Importantly, Naba Kumar Sarkar alias Aseemanand, Lokesh Sharma, Kamal Chauhan and Rajinder Chaudhary are all active members of the RSS. Since 1925, the organisation has actively promoted its radical Hindu ideology within the followers of the Hindu faith. The ruling Bharatiya Janata Party (BJP) is a political outfit of the RSS, whose follower Nathuram Godse killed Mahatma Gandhi for having a soft corner for Muslims. Even in today’s India, under the leadership of Prime Minister Narendra Modi, BJP leaders like Sakshi Maharaj openly call Godse a true patriot whereas Hindu Mahasabha leaders like Pooja Shakun Pandey celebrate Gandhi’s murder by shooting at his effigy. Today’s Indian society can easily be compared to Pakistan in the 80s, where radicalisation was at its peak. Though Pakistan has arguably successfully come out of it after a relentless yet slow process of de-radicalisation, it has paid an enormous price for it. Pakistan may have successfully countered internal as well as external threats with an iron fist, but the human as well as economic costs it bore in the process were too harsh a reality. India finds itself on the same crossroads, as it deals with a similar widespread form of radicalisation. Almost every day one can find the news or a video circulating showing the lynching of minorities, especially Muslims. Muslim students are being terrorised, their homes are being burnt, and Muslim immigrants are being denied citizenship exclusively made available to non-Muslims. India’s Hindutva majority has systematically changed India into Hindustan, where every institution, including its judiciary and its media, acts like an accomplice of the RSS. Seems like the saffron of the Indian Tiranga (tricolour flag) has already eaten its green and is ready to turn its white into saffron too. In a total contrast to India, Pakistan has been tightening the noose on its radical religious factions. The promoters of extremist ideology have been barred in many ways. The Interior Ministry’s list of those banned for travel shows that people like Hafiz Muhammad Saeed and Masood Azhar were put on the Exit Control List (ECL) nearly a decade ago. Such hardliners were later barred from delivering sermons in the mosques and madrassas. In the midst of the National Action Plan (NAP), madrassas were revamped with a religious syllabus introduced by the federal government. Most recently, said clerics were put on house arrest to further shun the growth process of their ideology. Though the process of de-radicalisation was slow in pace, it was indeed effective enough. It is important to note here that the Indian government keeps pressurising Pakistan to handover the mentioned clerics. Pakistan maintains that the process of probing as well as punishment will be carried out in and by Pakistan, and its courts took action against said clerics. Though the bans were challenged within Pakistan’s judicial system by the clerics, they were faced with the unwavering spirit of the system. Ironically, India still wants Pakistan to take action against the said clerics. Despite Pakistan already putting them on ECL, house arrest and banning them, one wonders what India wants its neighbour to do instead? That too with India failing to provide evidence of their involvement in the attacks they are accused of perpetrating. It also seems that India’s government and its media are not on the same page. Dr Mohammad Faisal, while talking about the dossiers handed over to Pakistan by India, said he could not find any mention of Azhar in them. Either Azhar is not a wanted figure in India, or the BJP government does not want a mention of its former failures. After all, Azhar is the same man who was released by Atal Bihari Vajpayee’s BJP government after a famous hijacking incident, and this release was criticised by India’s own intelligence chief as a diplomatic failure. Indeed, with the current verdict on the Samjhauta Express case, the bitter precedent set by the Indian judicial system is going to provide no helping hand to bilateral relations and what the continuity of that relationship might seek. Independent observers would surely assess that Pakistan and its worthy institutions have done enough to put its society in the right direction, whereas India and its politicised institutions are availing every opportunity to plague their society with the filthy disease of radicalisation, lawlessness and discrimination. How can India, in good conscience, demand justice for its citizens while denying Pakistanis the right to the same? India acquitting the accused in the Samjhauta Express bombing trial is evidence that extremist Hindutva ideology is deeply rooted in India today, whereas sane voices that desire peace are being systematically silenced. Godse is still alive in India, whereas Gandhi is being murdered every day.